Clarence Hazzledine was born in Beeston on 25th May 1893 the son of William, a coal miner, and Sarah Ann Hazzledine (née Spray) of 4 Denison Street, Beeston2. He was one of twelve children born to William & Sarah Ann, one of whom died as an infant. He attended the Church Street School3 and, as a lad, he could be found in the congregation at Wollaton Road Primitive Methodist Church. After leaving school he found employment at the Angular Hole Drilling Company4. He was a keen sportsman, his chief sport being boxing where he took part in many local tournaments. 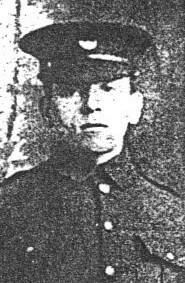 He enlisted at a Recruitment Centre in Nottingham and joined the Kings Own Yorkshire Light Infantry on the 4th September 1914 and was sent to France as part of a draft on 16th February 1915. He took part in the operations around La Bassee and was wounded by a German sniper during the "Battle of Hill 60" and was taken to Boulogne Hospital where he died of his wounds some days later on 18th April 1915. 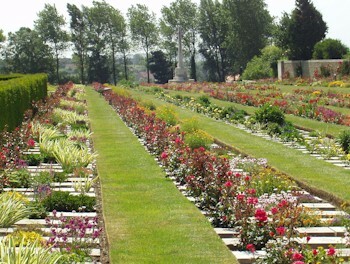 2This address is given on the CWGC site. In the 1891, 1901 (Piece 3153 Folio 20) and 1911 (Piece 1223 RD429 SD3 ED2 Sced 70) census, the family were living at 22 Denison Street, Beeston(possibly no 20 in 1891) : the family was then at 22 Denison Street. The surname is given as "Hazeldine" on the CWGC site. 4The Angular Hole Drilling & Manufacturing Company, founded in Beeston by John W Gaze. Then situated on Station Road Beeston (Wrights Directory 1913) but later moving to Dovecote Lane, Beeston where it continued for many years.